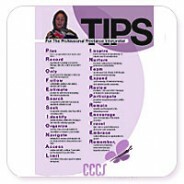 11×17 full-color poster outlines helpful tips for the freelance medical interpreter. Perfect as a gift for your favorite interpreter or on display in your training institute or interpreter services department! 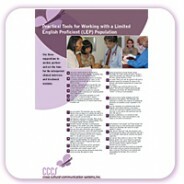 These flashcards were designed as a learning tool for medical interpreters. On one side, you will find a word part: a prefix, root or suffix commonly used in medical terms. On the reverse side, you will find the meaning of that word part. Samurai! cards are available in sets of approximately 375 cards. Each set comes with rules for playing beginner, intermediate and advanced vocabulary enriching games. Providers, are many of your patients limited in their command of the English language? Successful communication in the triadic encounter is possible, and there is much you can do to promote a therapeutic alliance and the wellbeing of each patient. 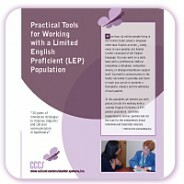 In this pamphlet, we present you with practical tools for working with a Limited English Proficient (LEP) patient population. Use these suggestions to anchor, partner and set the tone for the interpreted clinical interview and treatment sessions. 11×17 full-color poster outlines practical tools for providers working with a Limited English Proficient patient population. Perfect as a gift for your favorite provider or on display in your training institute, doctor”s office or staff meeting room!